Paragon heavy-duty electric projection screen. Ideal for auditoriums and lecture halls. Choose the Paragon for any setting where a very large screen is required. Motor is installed on special vibration insulators inside a 6" (152mm) diameter steel roller. Operation is smooth, quiet, and reliable. Case is made of white extruded aluminum and can be suspended anywhere, with controls wherever they’re needed. 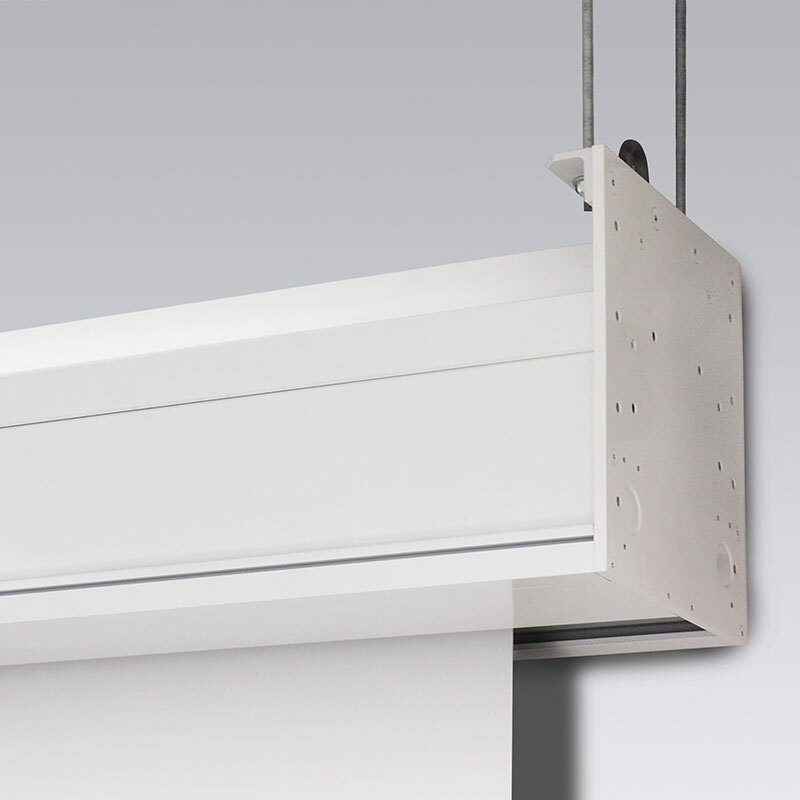 Paragon/Series E—Motorized screen is available in sizes through 28' (853cm) wide. Depending on surface, available in sizes through 21’ x 28’ (640cm x 853cm), or 24’ x 24’ (732cm x 732cm) and 35’ (1067cm) NTSC With control options, it can be operated from any remote location. Available in HDTV, NTSC and 16:10 format. Custom sizes available. Warranted for one year against defects in materials and workmanship.